Dizziness is a symptom that we may all experience from time to time. It can happen when we do not eat for very long periods of time, after strenuous physical activity during hot weather, with the lack of sleep or consuming intoxicating substances. Dizziness in these cases is not entirely unexpected. It passes within a short period of time with adequate rest, nutrition and hydration. However, there are instances where dizziness may be a symptom of some serious underlying disorder. It can occur in many different conditions, ranging from abnormal hormone levels like hyper- or hypothyroidism to reduced oxygen supply to the brain as may occur with a stroke or heart attack. With strokes and heart attacks being such a common cause of death, sudden dizziness with other symptoms like chest pain or paralysis should always be a cause for concern. However, not all causes of dizziness are this serious or life-threatening. Dizziness is a term used to describe many different sensations. From feeling a loss of balance, to weak or faint and even a sensation of spinning (vertigo), dizziness may vary in sensation and severity. However, in all of these cases, a person feels unsteady and uncoordinated. In milder cases, dizziness may sometimes be described as lightheadedness. Visual and even auditory disturbances as well as confusion can sometimes accompany dizziness but these are separate symptoms. These other symptoms that could be due to the same cause as dizziness but is not necessarily a consequence of dizziness. Dizziness can be caused by a host of different factors. The immediate concern when dizziness arises is the blood pressure, blood oxygen and blood glucose (sugar) levels. Fluctuations in these levels can arise suddenly and therefore trigger dizziness suddenly. This may be seen with heart problems, blood vessel disorders (including blockages as is seen in a stroke), injuries to the lungs, airways and head. However, there are other possible reasons for dizziness even when the blood pressure, blood oxygen and blood glucose levels are within the normal range. Most of the time this does not cause sudden dizziness. Instead the dizziness develops gradually. It can occur with ear infections, inner ear problems (even tumors), motion sickness, anxiety and panic disorders, migraines, anemia, thyroid hormone abnormalities, certain drugs and illicit substances. Dizziness is a symptom that occurs in many different conditions. It can be difficult to identify the cause of dizziness unless dizziness is assessed in conjunction with other symptoms (like chest pain or shortness of breath) as well as certain events or actions (like dizziness when standing). Advancing age, especially after 40 years. 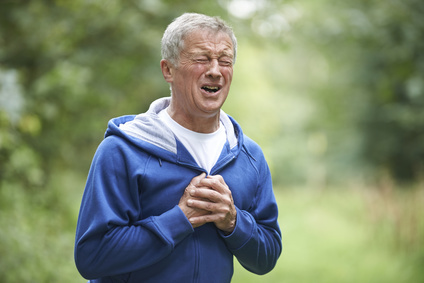 Other conditions like an aortic dissection (tear in the wall of the aorta) or even a rupture in the aorta may also cause sudden dizziness with chest pain. However, it is not only cardiovascular conditions that may be responsible. Even respiratory diseases can cause chest pain and and dizziness, although this does not always arise suddenly. Both asthma and bronchitis are common conditions where dizziness and chest pain may occur. Low blood glucose (hypoglycemia) due to any cause. Sudden dizziness with physical activity can be linked to cardiac conditions associated with coronary artery disease. It may not always be a heart attack. 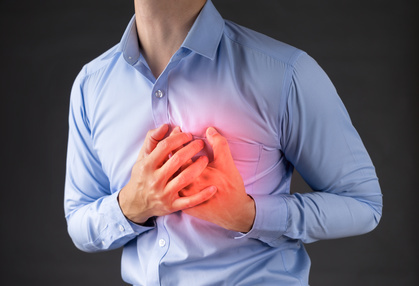 Angina pectoris is chest pain and other symptoms that arises when the heart activity increases but the coronary arteries are too narrowed to supply sufficient oxygen. This narrowing in angina pectoris can also occur with artery spasm as is seen in Prinzmetal angina. Dizziness with activity is also seen with narrowing of the carotid arteries and other arteries that carry blood to the brain. When the blood supply to the brain is insufficient, the low oxygen state causes dizziness. It can also occur when the blood is unable to carry enough oxygen like in anemia. Depending on the severity of anemia, there may be little to no symptoms until a person becomes physically active and the body requires more oxygen which the blood cannot carry. Blood pressure increases when we are stand compared to when we sit or lie flat. The body has to alter the blood pressure within seconds to ensure that oxygen distribution is sufficient for all organs. However, there are conditions where the body may not adapt fast enough. This is commonly seen in a condition known as orthostatic hypotension where the blood pressure is low when standing. Heart disease, such as a heart attack, heart failure, heart valve disease and bradycardia (slow heart rate). Hormone disorders like hypoglycemia in diabetes and Addison’s disease. Nervous system disorders like Parkinson’s disease among other conditions. Postprandial hypotension is low blood pressure that occurs after eating. Dehydration due to diarrhea, vomiting or excessive sweating. Dizziness with sweating is not entirely uncommon after vigorous physical activity. This is transient and passes within a few minutes of rest. However, sudden dizziness that arises with unexplained and excessive sweating can be symptoms of a heart attack, even when other symptoms are not immediately evident. It can arise even when a person is not physically active but it is important to note that strenuous physical activity may also trigger a heart attack. 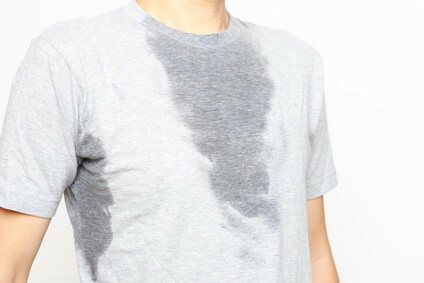 Sometimes sweating may be unrelated to the dizziness. However, sudden dizziness with unexplained sweating, difficulty breathing, chest pain, arm or jaw pain needs to immediate medical attention.